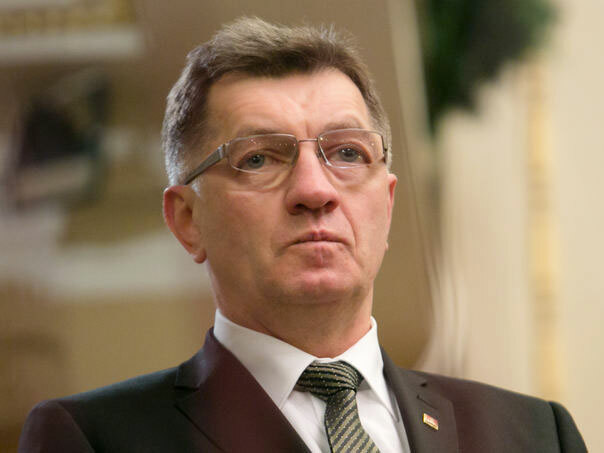 In an exclusive interview with the CNA, the Prime Minister of Lithuania, Algirdas Butkevicius, stated that each country “has to find its own way” and “has the right to self-determination” when he was specifically asked about Catalonia’s human chain. Lithuania is holding the European Union Presidency from July to December. The CNA interviewed the Lithuanian Premier on the occasion of the 400-kilometre human chain ‘Catalan Way towards independence’, which was inspired by the ‘Baltic Way’ of 1989 requesting the independence of Lithuania, Latvia and Estonia from the USSR. The ‘Baltic Way’ united in an uninterrupted and peaceful human chain Tallin, Riga and Vilnius; two years later the 3 Baltic states became independent. Butkevicius said he was “very happy that the Lithuanian model inspires people from other places”, as with the Catalan human chain. In another interview, the Prime Minister of Latvia, Valdis Dombrovskis, also showed great respect for the ‘Catalan Way’ and even opened the door to recognising a hypothetical independent Catalonia if the process were to be “legitimate”.